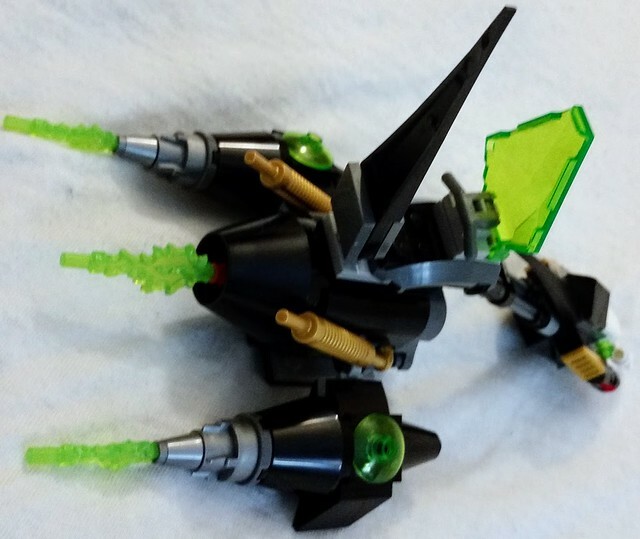 This hover bike was built by Squidman in 2009 as part of payment for a debt to the Skull Twins, and was one of two nearly identical space hogs. The second bike had an inverted color scheme with mostly white instead of black and was called Ivory. 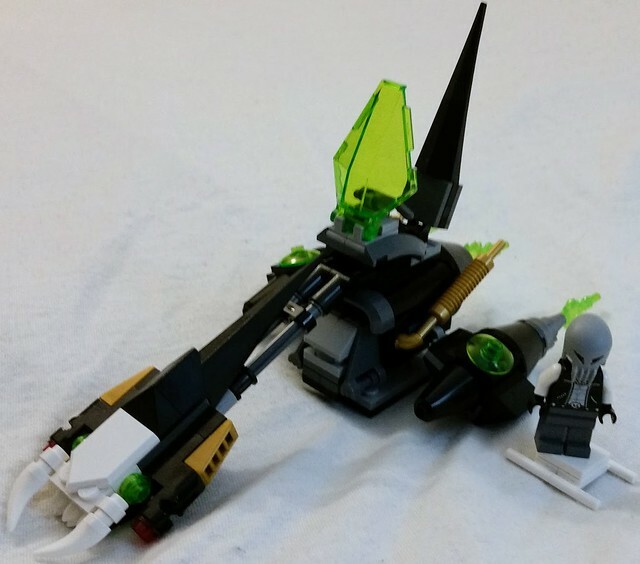 The bike seen in this post is called Ebony, and is the last of it's kind, as the other skull twin and his bikes were swallowed by a black hole while trying to outrun the Space Police III forces around seven years ago. The bikes features two laser weapons around the skull ornament on the nose. 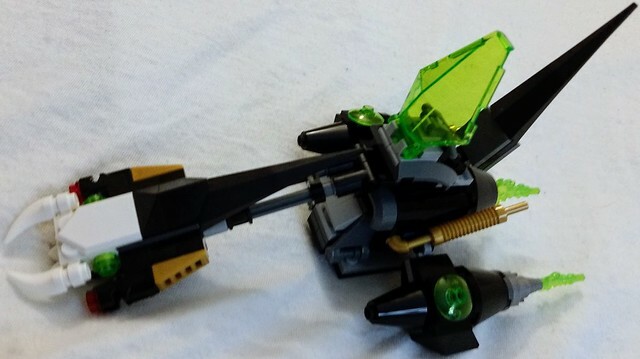 This three-engine hover cycle is one of the fastest bikes in the Milky Way, seconded only to legendary "Rewind 3", which went so fast it broke the time barrier. So far, it hasn't showed up again, but that hasn't stopped bookies from taking bets stretching back past the last 100 years to next millennium (or two). 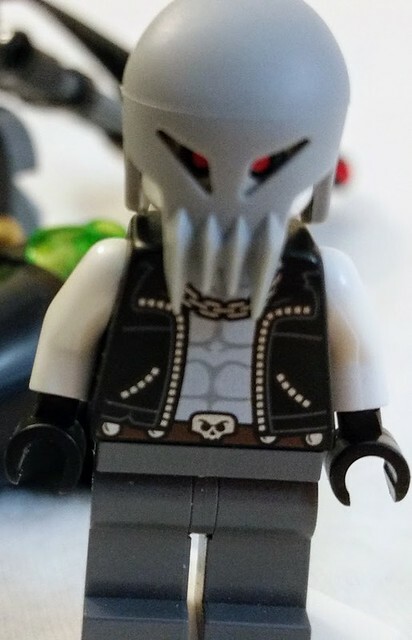 One of the mysterious Skull Twins... no-one knows what's under the mask, with some saying that he has no face, just soul-piercing, glowing red eyes. The Ebony bike and it's Skull helmeted driver left our galaxy for the Andromeda galaxy due to law enforcement pressure in 2011, and upon his return in 2018 found the galaxy a much darker, more sinister place with the Space police IV dictatorship in place. Due to his disappearance in 2011, this skull twin was declared dead a long time ago and is using this legal void to commit a great many crimes. As usual, comments, questions and complaints are always welcome!